Hangzhou Bay is an immense estuary delta that divided the Chinese municipality of Jiaxing from neighbouring Ningbo. The idea for the bridge was touted for many years before construction even reached the drawing board, but the bridge was eventually completed in 2007. 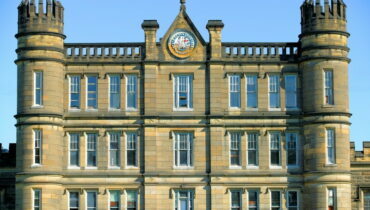 It was not opened to the public until 2008, after a period of rigorous and stringent testing. The area where the bridge lies is prone to not only typhoons, but also some of the highest tidal forces in the world and, as if that was not enough to be going on with, earthquakes! To account for all these adverse forces, the builders used steel piles, rather than the more usual concrete ones, and employed the cable-stayed bridge formation that is recognised as one of the strongest and most stable methods of bridge-building. Stretching some 22 miles across the bay, the bridge leapt into the top ten of trans-oceanic bridges on its completion and immediately cut travel times between the two regions from around 250 miles to a mere 50. Not one for those scared of heights, the Royal Gorge Bridge in Colorado, USA stands some 291 metres from the ground at its highest point. This made it the highest bridge in the world from the time of its construction until as late as 2003. The bridge was purposefully built as a tourist attraction in 1929 and it can be found inside an amusement park, surrounded by rides and carnival attractions. Sadly, the bridge and many of the attractions were damaged by fire in June 2013 and the park has only recently partially re-opened to the public (March 2014). It is hoped that the park will be fully operational by August 2014. Opened in 1932 the Sydney Harbour Bridge has become synonymous with Sydney’s other great attraction, the magnificent Opera House that sits alongside the bridge. It is the world’s tallest steel arch bridge, and is sometimes affectionately known as ‘The Coat-hanger’ because of its arched appearance. The bridge caters for all forms of transport – save trams! There were originally two tram lines but these were converted into spare vehicle roadways. Trains, bicycles and even pedestrians can find their way across the bridge, which was conceived of in 1815, although it would be almost a hundred years before the first feasible plans were drawn up. The bridge was opened on both sides simultaneously (not without some drama) and hailed as a huge success and the saving of many lives during the Great Depression by providing employment. Today, tourists can climb the arch of the bridge going over the top to enjoy the breath-taking views from the summit in a strenuous, three-and-a-half hour climb that ascends on the eastern side and finishes on the west. Originally called The Stone Bridge, Charles Bridge’s first stone was laid by King Charles IV, at 5.31am on the 9th of July 1357. The time and date are precisely recorded because Charles was deeply interested in numerology and it was felt that this was an auspicious time for the bridge building process to begin. (The date and time form a ‘bridge’ 1357:9/7:5.31 which Charles believed would imbue the construction with strength and durability.) The bridge today offers something of a short history of Prague and Czechoslovakia as a whole featuring statues of characters from various points in history. A recent (and hotly decried, in some circles) renovation saw the original statues being replaced with modern replicas and the originals carefully removed to a museum. Whenever you are in Prague, be sure to wander over the Charles Bridge and stare into the water of the Vltava River as you bask in the history of this historically significant bridge. The drive from Paris to Spain, especially if following a route near the small town of Millau, was known to be problematic, especially in summer, when hundreds of tourists and day-trippers would crowd the roads, and the idea of a bridge over the Tarn Valley was quickly mooted and accepted. The authorities held a contest, inviting architects and designers to come up with possible ideas and routes, and the best of these was selected. Despite fierce opposition from various parties (some felt that Millau would lose all passing trade, others felt that the toll charge on the bridge would mean that few people used it and still others advocated a different route, a little longer but that would have meant a cheaper project) the bridge is well used and appreciated by many who remember getting stuck on the overcrowded small roads below! The bridge has won various awards, including the prestigious Outstanding Structure Award from the International Association for Bridge and Structural Engineering in 2006. Instantly recognisable from both action adventures and romantic movies, the Rialto Bridge stretches across Venice’s beautiful Grand Canal. The original bridge was a pontoon, built in 1181. This was replaced in 1255 by a fixed wooden bridge, which was damaged by fire in 1310. It was quickly found that wooden bridges need painstaking maintenance and even so, tended to degrade fairly quickly – as evidence by the bridge collapsing in 1444 and 1524 respectively. Finally, the decision was made to rebuild the bridge in stone and work was completed in 1591, after three years of construction. At the time the design of the bridge was so novel and unusual that critics predicted that the architect would be utterly ruined. Happily, this did not happen and the bridge quickly became an iconic sight, beloved by all. 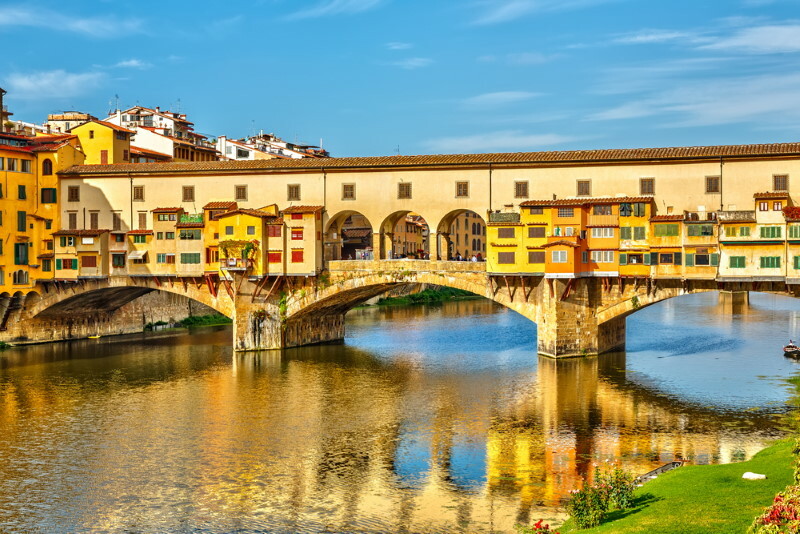 The bridge, in the beautiful city of Florence in Italy, was constructed with shop premises as part of the building work. Originally home to butchers, the bridge shops now house jewellers, art dealers and souvenir shops. The Ponte Vecchio is believed to stand on the site of an ancient Roman bridge, constructed of sandstone and wood as far back as 996. Several bridges stood on the spot, but all were destroyed or swept away over time until 1345 when the present edifice was constructed. It is believed that the whole principle (and the very word itself) of bankruptcy comes from the Ponte Vecchio! Money changers would sell their wares from a table (banco). If they could not pay their debts, soldiers or rotto would break their table, deeming them banco-rotto or broken tabled. Without a table, they could no longer work. During the Second World War, the bridge was not broken or damaged by the Nazis, supposedly on the express orders of Hitler. If you wander along the bridge you will see many ‘lovers locks’ fastened around the railings of the bridge. The idea is that as a couple you buy and fasten the padlock in place (often with your names written or engraved on the lock) then throw the keys into the water, so that you are ‘locked’ together for eternity. More prosaically though, many of these locks have to be removed every year to prevent damage to the bridge and there are several signs declaring the practise to be taboo. Brooklyn Bridge is one of the oldest suspension bridges in the United States, connecting Manhattan to Brooklyn. The bridging of the East River was a lengthy and complicated business which saw many men suffering from compression sickness and getting injured in the dangerous working conditions of the time. The injuries and deaths were by no means confined to the working men with both of the men in charge of the project, John Roebling and then his son Washington Roebling, suffering crippling and painful injuries on the task. At the time of its construction it was the longest suspension bridge in the world, a title it held for many years thereafter. The bridge is now a much known and much-loved feature of New York and can be seen in many television shows and movies, especially those set in and around New York. Perhaps the most iconic bridge in the USA, the Golden Gate Bridge connects the San Francisco peninsula to Marin County. 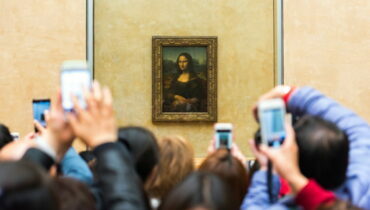 It has also been named one of the Wonders of the Modern World. The bridge replaced a long-running ferry service, enabling travellers to remain in their vehicle as they crossed the strait. The bridge was designed to avoid the demolition of Fort Point, which dates from before the Civil War and was deemed, even in 1933 (when construction began), to be worth preserving for posterity. Golden Gate Bridge opened in 1937 and the festivities lasted a whole week, with some citizens becoming so over-excited that police had to quell a small riot that broke out. Sadly, the bridge has become popular with suicides (jumping or falling off the bridge will almost certainly kill you) with one death reported every two or three weeks. 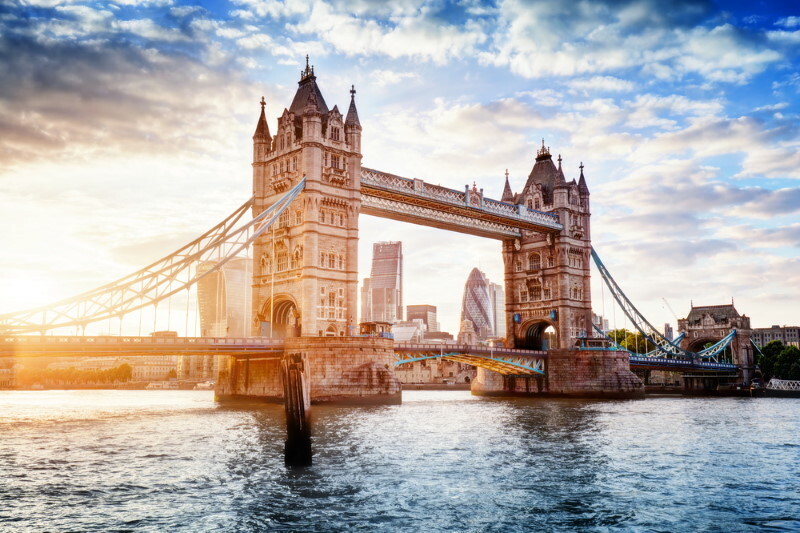 Opened on the 30th June 1894, Tower Bridge is London’s most iconic bridge and something of a symbol for the city. It is often confused with London Bridge, which is a much more nondescript bridge a short way up the river! Allegedly the most famous incidence of this was the purchase of London Bridge by an American gentleman who had the bridge shipped to Arizona and painstakingly rebuilt – however, the buyer in question later debunked this rumour. The upper levels of the bridge, formerly the rather unsavoury hang-out of prostitutes and thieves, were closed for many years, only reopening to the public in 1982 as part of the Tower Bridge Exhibition. Between 2008 and 2012 the bridge underwent a lengthy face-lift, leaving it sparkling clean and freshly painted ahead of the Summer Olympics. One of the most famous happy incidents on the bridge was in 1952 when a double-decker bus ventured onto the bridge while it was opening. With no time to retreat the plucky driver accelerated, jumping the bus over a three-foot gap onto the other side. He was awarded the princely sum of ten pounds by way of a reward!